KIRKSVILLE, Mo. – The Truman Football team fell to 0-2 on the young season after falling at home to the third ranked team in the NAIA, Morningside College, 35-17, on Saturday afternoon. Mustang receiver Connor Niles racked up 207 yards and scored a pair of touchdowns while quarterback Trent Solsma threw for 367 yards and three scores. The Mustangs notched their 19thstraight regular season win and Solsma went over 9,000 passing yards and 100 touchdown passes for his career. Truman’s Jaden Barr attempted a career-high 47 passes, completing 22 for 173 yards while gaining 106 yards on the ground on 17 attempts. Dante Ruffin had five catches for 57 yards as Barr used nine receivers in the game. Moringside took advantage of an early turnover by the Bulldogs when Arnijae Ponder scampered in from 18 yards out on the first play after a muffed punt to put the visitors up 7-0. Lawrence Woods made amends for his miscue on the ensuing kickoff as he took the ball 90 yards to tie things up. It was his second kickoff return for a touchdown with the last coming in the season finale in 2016. After Barr tossed an interception in the Morningside endzone, Bryan Edwardsand Michael Niesler got the ball back for Truman on a fumble recovery. Barr found Colby Roundtree on third and eight to give the ‘Dogs a goal to go situation and Barr would take it in for the 14-7 lead from four yards out. Truman converted on their first six third downs and Barr completed 11 of his first 13 pass attempts. 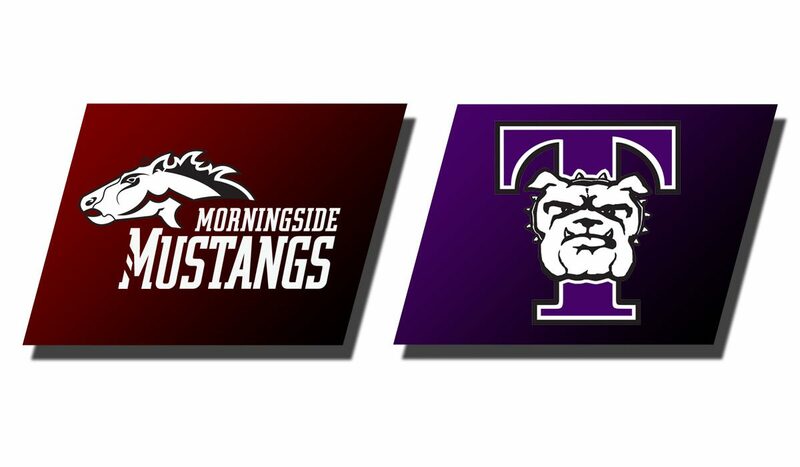 However a second muff on a punt gave Morningside ideal field position and again on the first play, Solsma hit Reid Jurgensmeier for a 15-yard pass to pull the Mustangs even at 14. The Bulldogs went back on top but had to take three after having first and goal at the 10. Josh Scheiderer made a 27-yard field goal with 5:59 left in the half. 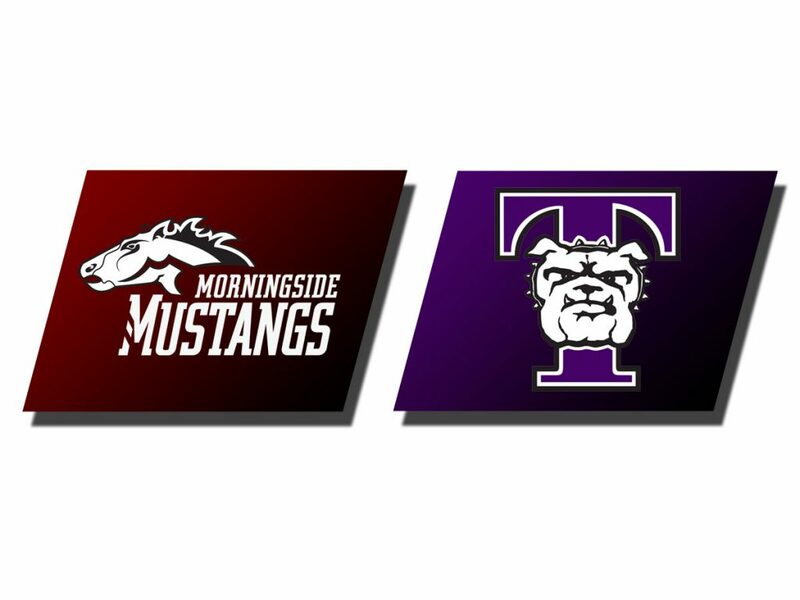 Morningside appeared to match the Bulldogs with a field on their next drive but Niles took the snap on a fake and scored from six yards out to give the Mustangs the lead back at 21-17. In the second half Niles was the big play difference for Morningside. He reeled in a 47-yard touchdown pass midway through the third quarter to stake the Mustangs to a 28-17 lead then caught a 31-yard pass on third and 15 as the Mustangs were on their on 15 yardline in the fourth quarter. He later hauled in a 27 yard pass that eventually set up the final TD of the game, an 11-yard pass from Solsma to Jared Myers. Truman finished with 327 yards of total offense with Barr accounting for the bulk of plays. The Bulldogs were 14-of-22 on third downs but were just 2-of-5 in redzone opportunities and had five turnovers.